Our new Live Chat customer service is receiving universal praise. We’re proud to report that our customers have given our Live Chat customer service rave reviews so far this year. With Live Chat, our customers can connect with the exact same Technical Sales Representatives that have made our phone support so successful. Live Chat support is available free-of-charge on seclock.com by clicking the red bubble on the bottom-right of any page. We've introduced all-new ways to manage your addresses on seclock.com. 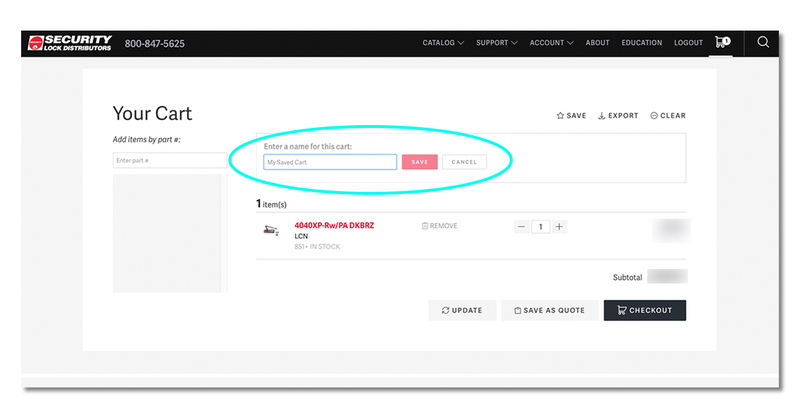 You can now create and edit addresses in your account section and during the checkout process. 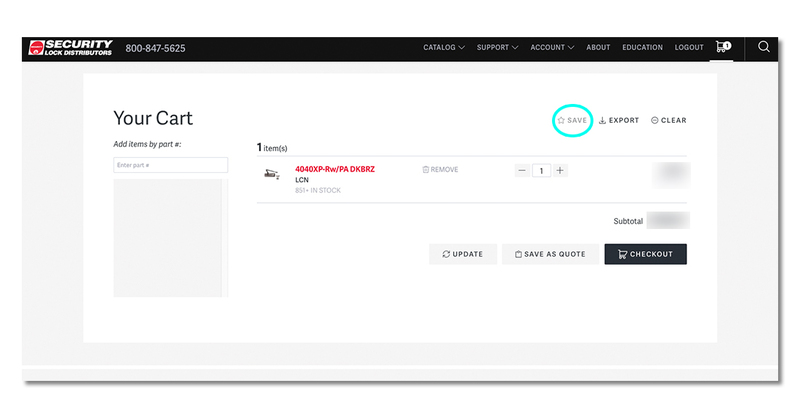 In steps one and two of our all-new checkout process, you can add or edit an address on-the-fly. Have multiple members of your team logging onto seclock.com? You can now share addresses amongst the group! 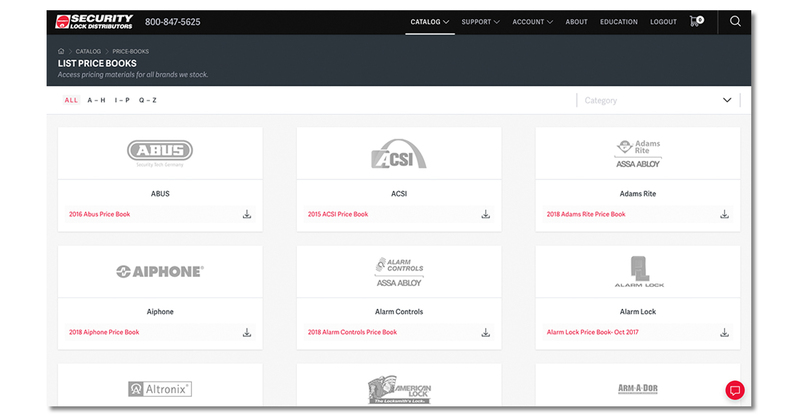 When you add a new address on your account page or during the checkout process, it will automatically be added to your company's team address book, accessible by all members of the team. Want to set a specific address as your default going forward? Simply click “SET DEFAULT” next to any address in your account section. Want to label an address as something more familiar? Maybe “John Smith's House” or “That Building on Main Street”? Now you can! When adding or editing an address, simply fill out the “Label” field. Buying a product on seclock.com that needs a plate, spacer, adaptor or something else? Companion Items will tell you exactly what you need, and what will work with the product you're buying. Find Companions at the bottom of most seclock.com product pages. 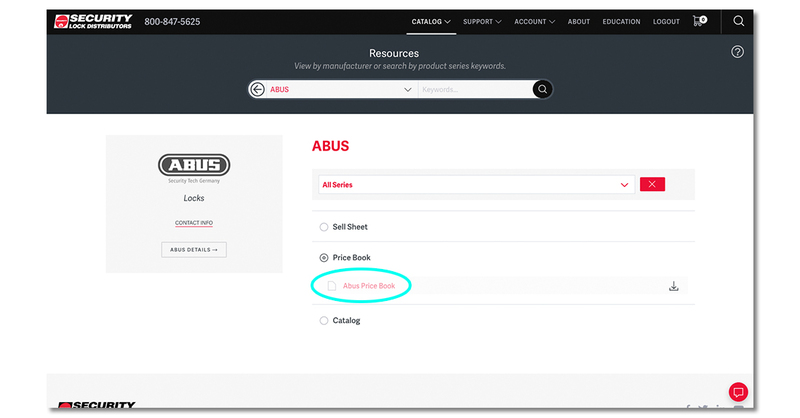 Browsing resources by manufacturer gives you results in an organized way, grouped by resource categories. 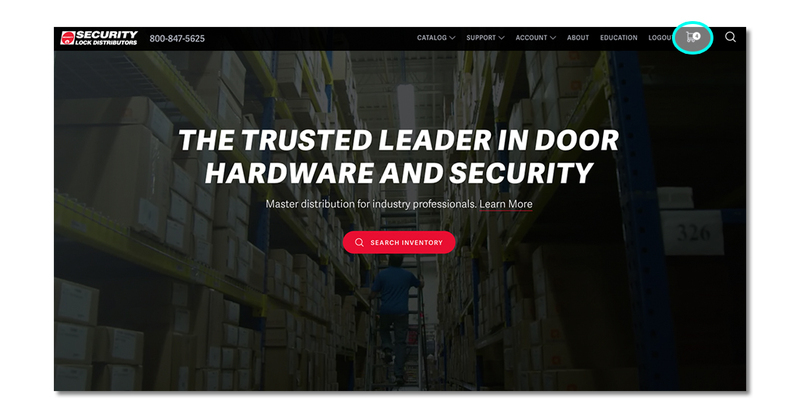 You can even narrow your manufacturer results by product series, and view videos, images and PDFs without leaving the page. Before following these steps, please LOGIN to your account. There are two ways to access list price books on seclock.com. 1. 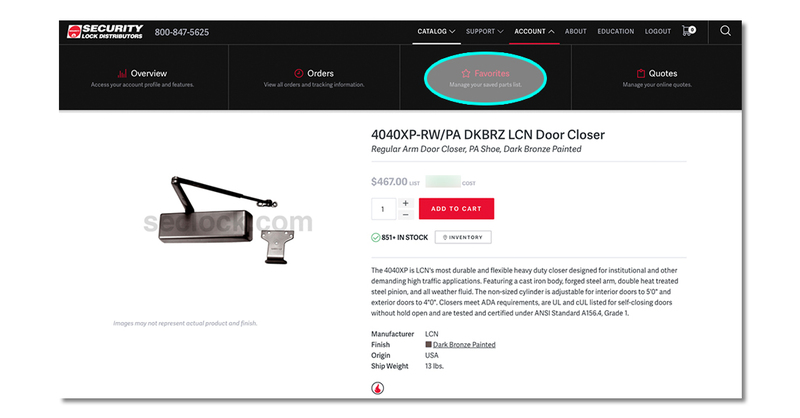 Click CATALOG in the main navigation (at the top of the page), then click LIST PRICE BOOKS. 2. You are now on the List Price Books page, where you can click the name of a price book to dynamically load a PDF on-screen, or click the down-arrow next to the price book to download a PDF copy. 1. 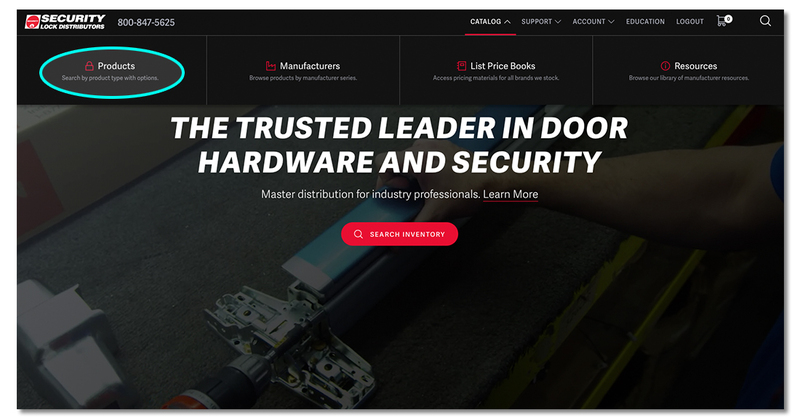 Click CATALOG in the main navigation (at the top of the page), then click MANUFACTURERS. 2. 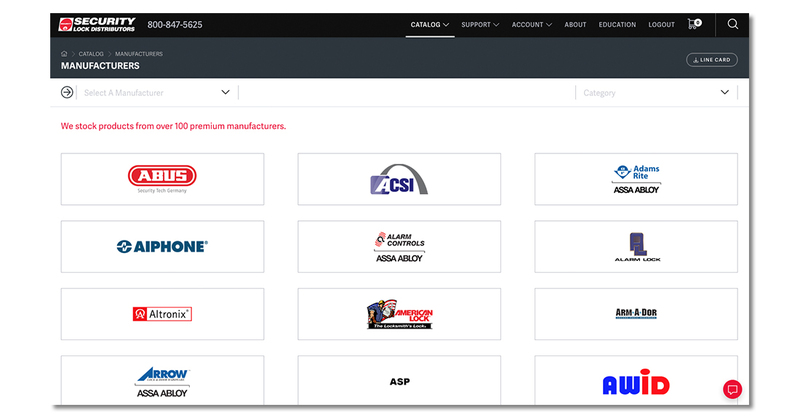 Here, click any manufacturer's logo to travel to its respective manufacturer page. 3. 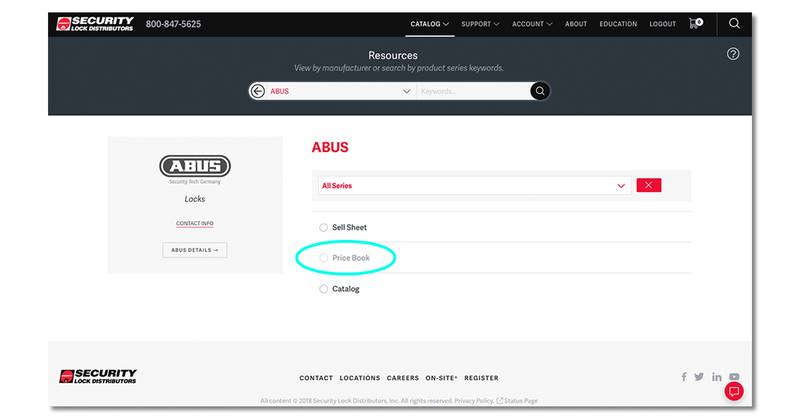 On the resulting page, click RESOURCES on the left side (inside the gray box). 4. 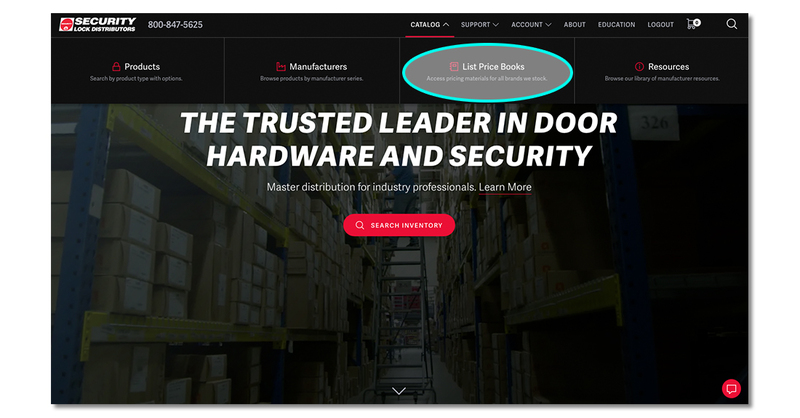 On the next page, click PRICE BOOK from the available options in the center of the screen, which will display a link to that manufacturer's most current price book. For further assistance, please click the red chat bubble on the bottom-right of any page. We're here to help! Before following these steps, please login to your account. There are a number of ways to “favorite” an item. Whenever you see a ☆ star icon, simply click it to add that respective item to your Favorites list. On an item page, for example, you'll notice three icons on the top-right: Star, Printer, Envelope; simply click the star. 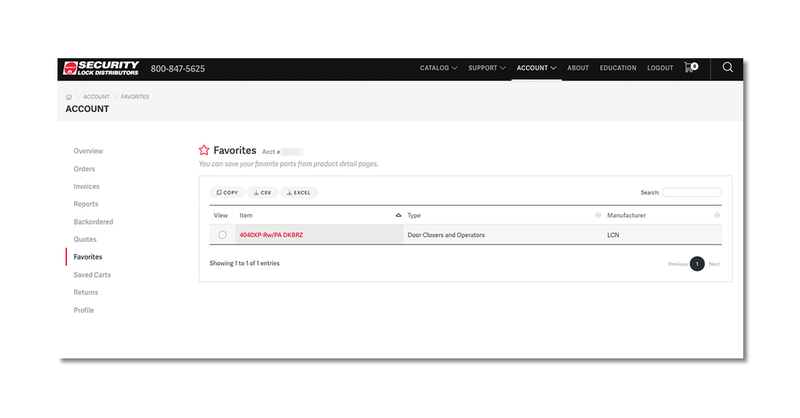 To access Favorites, click ACCOUNT on the main menu navigation, then FAVORITES. 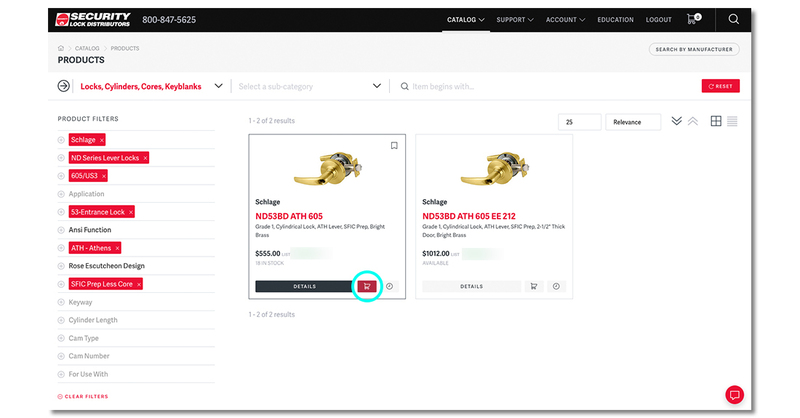 Once you've added items to your cart, navigate to the CART screen by clicking the cart icon in the main navigation. There, you will notice a SAVE option (accompanied by a ☆ star icon) on the top-right, above your cart. Simply click it and name your cart. 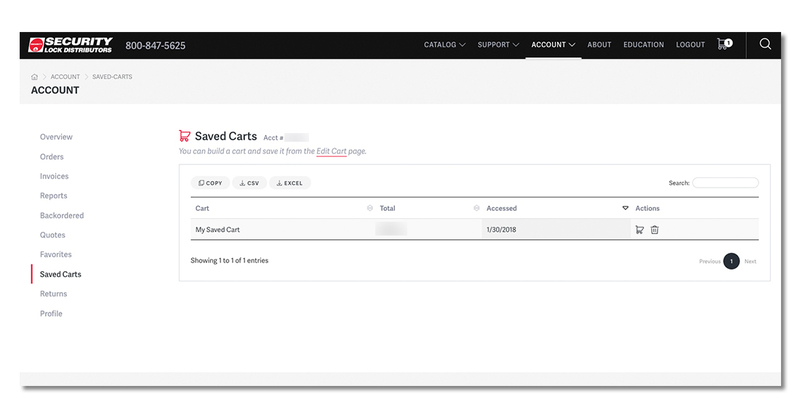 To access Saved Carts, click ACCOUNT on the main menu navigation, then OVERVIEW. On the Overview screen, click SAVED CARTS from the menu on the left side. For further assistance, please click the red live chat bubble on the bottom-right of any page. We're here to help! Seclock.com’s product filter is a useful way to find exactly what you need in a very short amount of time. 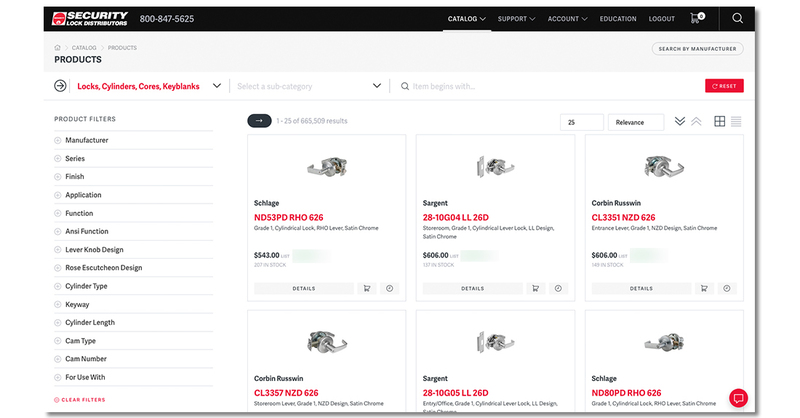 The filter tool allows you to narrow down over a million items by the attributes of your choice, until you find exactly what you’re looking for, all in a matter of seconds. 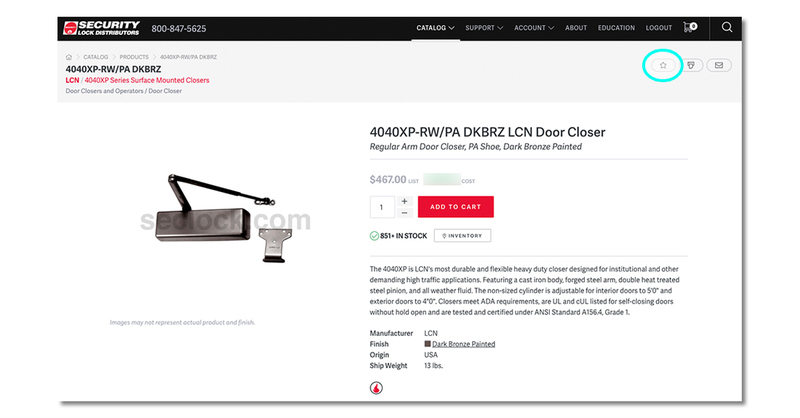 To access the filter tool, click CATALOG from the menu at the top of your screen, then PRODUCTS. 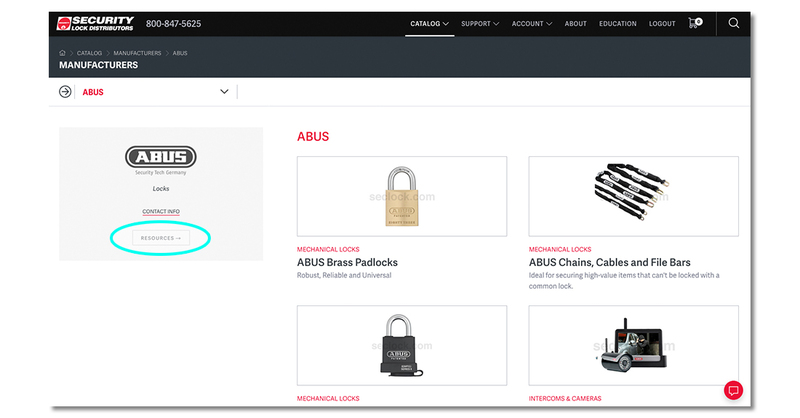 Here, you can either search for a specific model number, or select a category and sub-category from the available drop-down menus. The filters available on the left-hand side of your screen will be specific to the category or search results you’re currently viewing. To narrow your results by using these filters, click on an attribute (such as Manufacturer or Series). Here, you can narrow your search from the Product Filters on the left-hand side. Click any attribute to select a filtered value, or click and begin typing to filter in real-time. For example, let’s say that you need a lock and you have a series of criteria that the lock needs to meet. This powerful filter tool can show you exactly which products on seclock.com will meet those criteria. Say you know you need a Schlage lock, from the ND Series of Lever Locks, with a 605/US3 finish, you know it needs to be an entrance lock, with an Athens lever knob design, and a SFIC Prep Less Core. We started with over 665,000 locks, and narrowed it down to two that will fit your needs for this specific situation. When you’re ready, click that little shopping cart icon to add it to your cart. 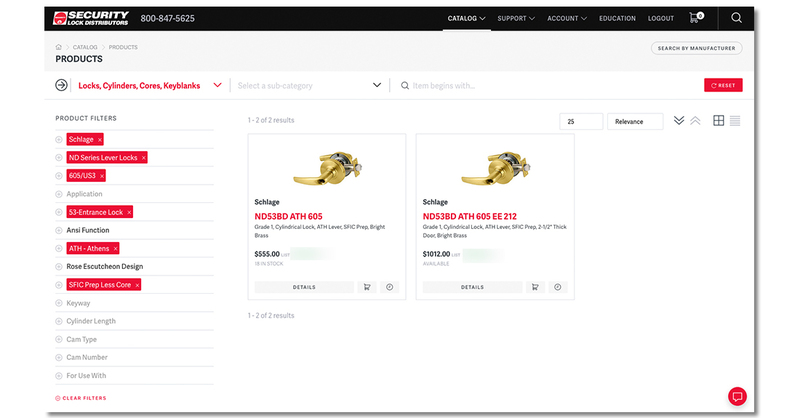 The advanced product search allows you to drill down to sku sets based on filter criteria, and sort your results in meaningful ways. This screencast is an overview on using those filters. Seclock.com just got a major facelift! 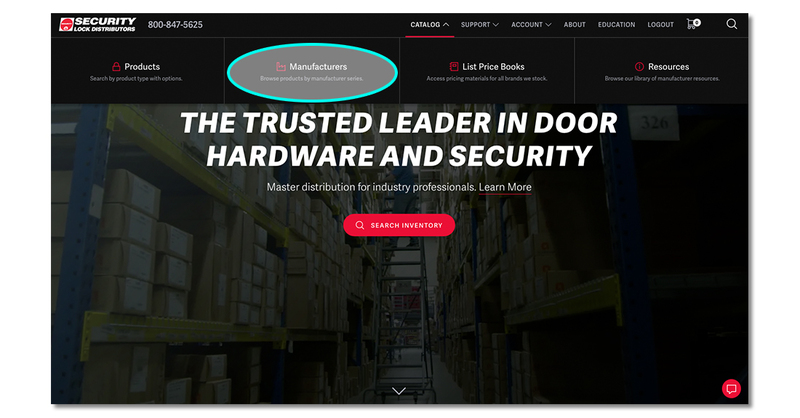 We hope you love the new features, such as an amazing way to search for products, massively expanded product descriptions and specs, comprehensive support and resources, one-step checkout, and much, much more. Here's a quick overview video to get you going.